Louis XV broke with the century-old tradition of choosing his mistresses from the nobility in spectacular fashion. Both Madame de Pompadour and Madame du Barry were from the middle-class although many considered them to be from far further down the social ladder. As was custom, they were introduced at court where they would be officially introduced to the royal family. However, not everyone was equally pleased - especially the latter lady caused quite a stir at her presentation. The presentation included three formal curtseys as well as a "tour" to each of the members of the royal family starting with the king. An already presented lady would do the honours and introduce the new-comer to the individual royals. For these women, the presentation had a wider significance than merely being seen by the courtiers. It was only when they were formally introduced that they could be recognised as the king's official maitresse-en-tître; otherwise, they would not have been able to partake in the day-to-day life at court or even live there. Madame de Pompadour was set to be presented on 15 September 1745 at six o'clock in the evening; she was taken to court in a rather anonymous closed carriage. Such events were not just a court event; Parisians rushed to Versailles for two reasons: one, they wanted to see the new favourite and second they wanted to see how the queen would react. 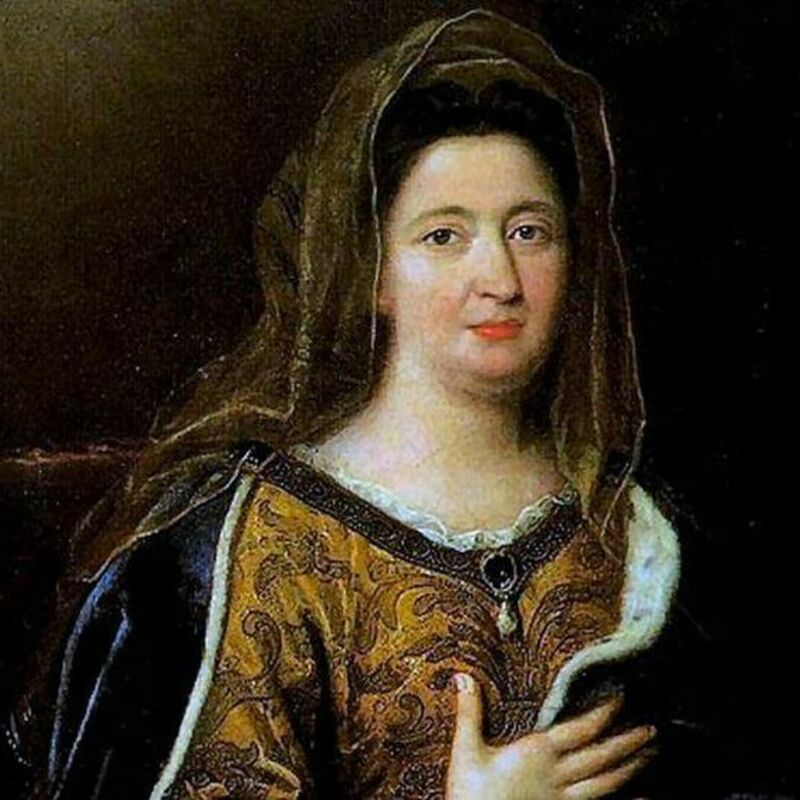 To her great credit, Marie Leszczynska behaved cordially towards the woman whom she knew was her husband's mistress. Madame de Pompadour - undoubtedly relieved at this - responded in the same kind appearance. The two ladies' example was not followed by all that day. According to the Duc de Richelieu the courtiers who filled the chambers made little attempt at hiding their distaste at what they considered an upstart. Richelieu claimed that their behaviour even made the king blush. Tradition claimed that an already presented lady do the honours which left Madame de Pompadour in quite a pickle. There were few women who would want to associate themselves with a woman born as lowly as Pompadour. However, there were those whose principles could be swayed - at a price. The Princesse de Conti was not a wealthy woman despite being very high in the court hierarchy. She had managed to amass a considerable amount of debt which she could not get rid of. She had previously made it very clear that she despised the king's choice but soon realized that the presentation could prove lucrative. So, she met with the king and made a bargain: she would assist his beloved if he would settle her debts. The deal was struck and Madame de Pompadour was set for her great event. She was first taken to the king's chamber were she - in a rather ironic twist considering their relationship - was introduced to him. More than one contemporary noted how uncomfortable the king seemed. From there, she made her way down the hierarchy in the royal family: the queen, the dauphin, the dauphine and the king's daughters. It must have been a formidable sight; besides the countless spectators each royal person was accompanied by his or her closest retinue. Her three ceremonial curtseys went smoothly; her natural talent as a stage-performer - so well utilized later on - served her well. Margaret Trouncer suggests that Madame de Tencin had lend her own experiences in coaching the nervous Pompadour. The same author reports that the young dauphin showed a bit of naughtiness; allegedly, he stuck out his tongue when she curtsied to him. The queen - as mentioned - was amiability itself. The plan had been to merely mention something about Madame de Pompadour's gown but when the time came the queen showed her tactful side. She had heard of a relative of Pompadour's husband who happened to be known to some in the queen's circle. Striking this common ground, the queen politely inquired after that particular person. This rather stunned Madame de Pompadour who might have expected hostility. Nonetheless, Jeanne-Antoinette thanked her and replied that she earnestly wished to serve Marie Leszczynska. Undoubtedly a rather disappointing result for those who had hoped for a cold clash. The situation was different when Madame du Barry was to be presented. For one, the new favourite was not even married. Tradition demanded that the king's mistress should be a married woman; for this reason a quick marriage was set up with Guillaume du Barry. Even after that. there was some doubt as to whether the ceremony would even take place. The Duc de Choiseul - du Barry's enemy and Louis XV's close advisor - had attempted to dissuade the king from the presentation and had initially thought himself succesful. Consequently, a great part of court did not even think the presentation would take place even though the king had set a date for it. : 21 April 1769. There was another reason for the king's hesitation. 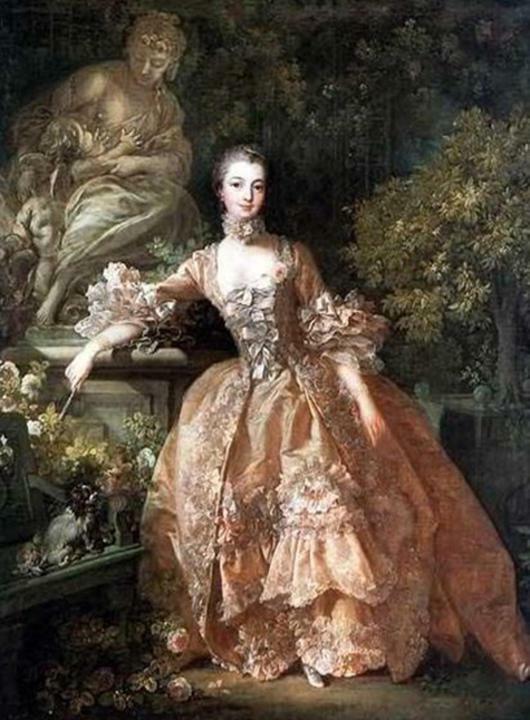 Madame de Pompadour may have been a bourgeoisie but she was still a respectable married lady whose company was already sought by members of the court. In contrast, Madame du Barry was found lower down the social scale and her enemies did not hesitate to bring up her past of semi-prostitution. To make such a woman - no matter her personal charms - the official mistress would leave a stain on the king's legacy. To modern observers it might seem slightly off but the king's premonitions were right. Not long after her presentation, Madame du Barry found herself the scapegoat of the common people. She would eventually become the symbol of the king's debauched old age until he died - after that, Marie Antoinette took over the gig as national scapegoat. Madame du Barry was also faced with the issue of finding a suitable noblewoman to introduce her. This time, there was no Princesse de Conti to come to the rescue which meant that for an awkwardly long period no one volunteered. Finally, the duchesse d'Aiguillon made an offer: one of the ladies in her retinue - the Comtesse de Béarn - could do it. The Comtesse was poor just as the Princesse de Conti had been before her and was duly rewarded for her efforts. When the day arrived their doubts seemed to have been justified at first. The scheduled time came ... and went. Madame du Barry was no where to be seen. The Duc de Richlieu - rival to Choiseul - was with the king in the latter's chamber and described the king as very agitated when Madame du Barry did not show. The court waited with baited breath when the carriage finally rolled up. Apparently, the favourite's coiffeur was not quite aware of the importance of keeping an appointment on time and spent a great deal of time on her client's hair. Their diligence paid off. Madame du Barry was splendid; "even the people who felt despair at this presentation, were forced to admit that if beauty and elegance entitle one to approach the throne, Madame du Barry ought to enjoy that privilege". The Maréchal de Richelieu had been tasked by the king with the job of commissioning a gown for the king's mistress - as well as handing over a sumptuous gift of diamonds estimated at 100.000 livres. The Marèchal did not disappoint. The gown he had chosen was fit for the king's consort rather than his mistress; huge panniers held up silver and gold fabric completely studded with diamonds. More than one commentator noted that she literally glowed due to the light reflecting off of the precious stones. Some sources claimed that even her shoes were studded with diamonds. Like her predecessor, she held a brave face when confronted by the less-than-friendly courtiers whose gazes told their clear opinion of her. Nevertheless, Madame du Barry managed the three curtseys (as demanded by etiquette) with surprising elegance and grace. Once the ceremonies were over, both Mesdames de Pompadour and du Barry were officially fully fledged members of the court. This did not prevent the more blue-blooded courtiers from scoffing at their backgrounds but not all did. Some saw an opportunity to gain advantages by befriending them while others were genuinely charmed by the two women.